Why would someone want Retro Guns? 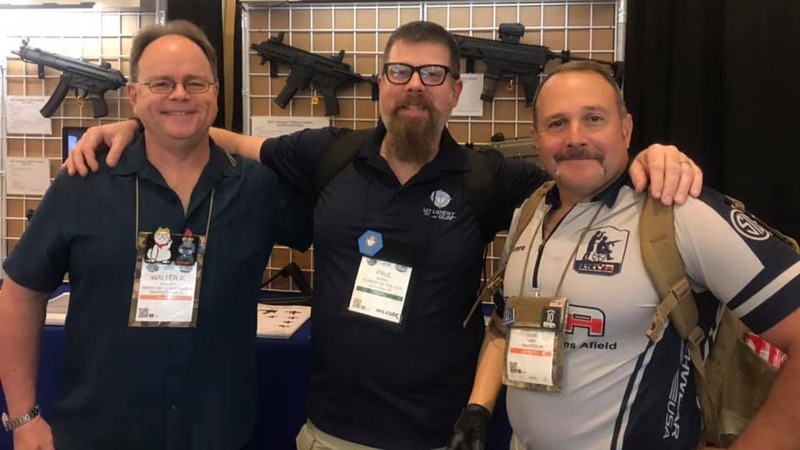 That question was asked and Professor Paul will address it during our continued SHOT Show 2019 follow up and our Brownells Bullet Points segment. During our SOTG Homeroom from Crossbreed Holsters, we will consider the Fundamental Four items that everyone should have for Every Day Carry (EDC). As simple as it sound, EDC seems to be confusing for far too many adults. Jarrad and Paul will share more of their experiences from the Shooting Hunting and Outdoor Trade Show. In addition to the traditional guns and ammunition, there are a couple of pieces of electronic gear for which you should keep an eye open. TOPIC: Retro Guns: AR10, AR15, and More! Why is EDC so confusing? When you pull off the perfect shot at a distance, it can be difficult to track your downed kill, especially on twilight hunts. Easily detect thermal signatures to locate fallen prey with this Leupold LTO Quest HD Handheld Thermal Imaging Camera. In fact, these Thermal Imaging Cameras by Leupold can detect heat signatures up to 750 yards out. This Leupold LTO Quest HD Thermal Device is also equipped with a camera and 300 lumen flashlight to assist with your search. Take and store photos in the back country to show off your marksmanship.